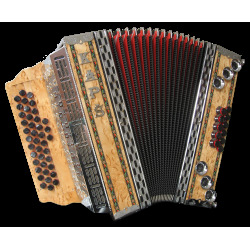 The standard diatonic accordion is the result of our many years of experience, knowledge and development. It is intended for both beginners and seasoned musicians. 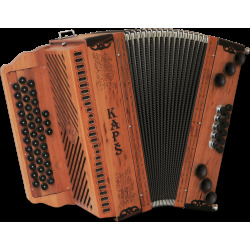 The instrument has a clean and pleasant sound, which is characteristic for "KAPŠ ACCORDIONS". 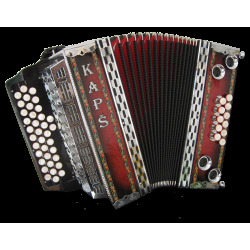 The standard diatonic accordion is the result of our many years of experience, knowledge and development. 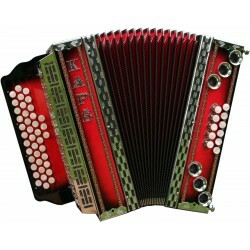 It is intended for beginners and anyone who wants a smaller and lighter accordion. 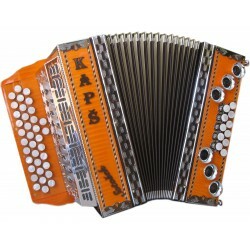 The instrument has a clean and pleasant sound, which is characteristic for "KAPŠ ACCORDIONS". 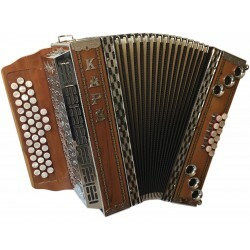 We offer servicing and repair of all types of accordions. Do you need a top-tuned instrument? 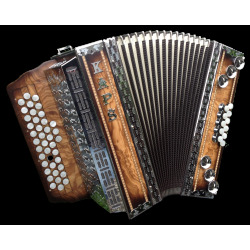 Do you need some advice about the type of accordion that would be right for you?